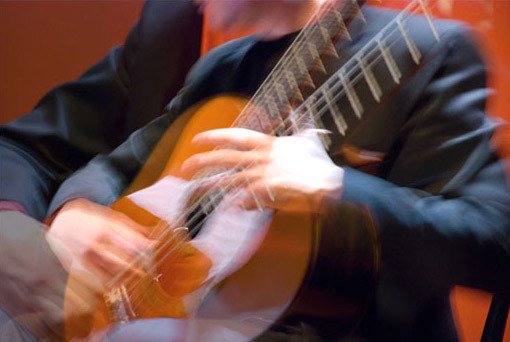 SatorDuo, formed by violinist Paolo Castellani and guitarist Francesco Di Giandomenico, specialises in contemporary Spanish and South American music. Since debuting in 2010, the duo has played many concerts throughout Italy, the rest of Europe, China and the United States. 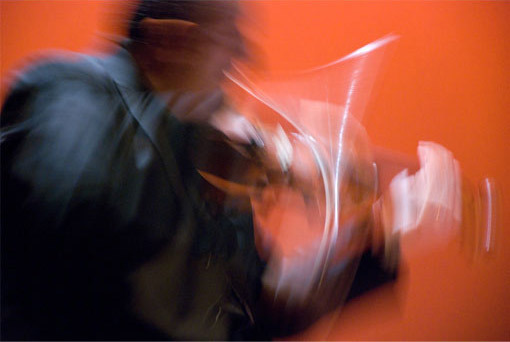 A success with critics and public alike for their “…energy, emotional charge and virtuosity…” (ILAMS, Ibero Latin American Music Society, London), SatorDuo is internationally recognised as being “…one of the most exciting duos in Italy today…” (Italian Cultural Institute of Chicago, Chicago). In 2015, the duo played in some of the world’s major cities, including Chicago, London, Rome and Venice to promote their new album, entitled “SatorTango”, as well as playing the world premiere of “Creation Rejoices” for guitar, violin and string orchestra by US composer Robert Hutmacher. Over the coming months, the duo will be in Italy and USA, presenting “Historie du Tango”, a concert commissioned by the Uruguayan Embassy and dedicated to the tango of Buenos Aires and Montevideo. Studied with the guitarists Leonardo and Claudio De Angelis, he graduated with honors in Guitar, Musical Disciplines (specialization Guitar), Teaching Instrumental and Repertoire for Guitar and Orchestra. Then he trained in San Juan de Puerto Rico (USA) with the composer Ernesto Cordero who dedicated the piece Meditación to him. During his training, he also had the opportunity to study with some of the most international renowned guitarists as Leo Brouwer, Eduardo Fernandez, Wolfgang Lendl, Carlos Barbosa Lima, Juan Sorroche, Ivan Rijos, Roland Dyens, Helmut Jasbar, Hugo Geller and Neil Smith. Praised for his interpretative skills (“A guitarist particularly gifted for his deep music sensibility” -Ernesto Cordero- “An excellent Concert” – Leo Brouwer-, “capable of uniting the executive skill with the incredible feeling he possesses” Il Giornale dell’Umbria-), Francesco Di Giandomenico has given concerts in Europe and USA, premiering works by Cordero, Sorroche, Benedetti, Magrino, and Bolli, some of which were dedicated to him. He graduated with honors in Political Science and he has published works in national journals (Studi and Documentazioni) and international ones (Soundboard, the official magazine of the Guitar Foundation of America). Studied at the Conservatory of Music in Perugia, where he obtained a diploma in violin in 1992 and graduated with honors in musical disciplines (specialization Violin) in November 2006. Among his teachers there were: Alfredo Fiorentini, Massimo Marin, Enrico Gatti and Paolo Franceschini. He has mainly devoted his career to chamber music and he has performed all over the world and in some of the most important national and international music seasons. As “First Violin” in the Chamber Orchestra “I Solisti di Perugia” he has performed and recorded numerous CDs with some of the greatest musicians of the international scene. He is also the author of several original pieces, transcription for string quartet, quintet, orchestra, chorus for 4 voices, violin and guitar and of didactic works of “100 melodic and rhythmic dictations” and an essay on “The Four Seasons by Antonio Vivaldi-history analysis and explanation of texts” edited by the publisher Edizioni Antaeus. Currently he is Professor of Theory at the Conservatory of Benevento.